Native plants on green roofs are often seen as a difficult option. This is primarily because they do not fit into the industrial systems often promoted by companies. However, a recent article in the USA highlights that native plants could, and maybe should, be the way forward. Not only because of the intrinsic value to biodiversity, but also in reducing costs. Native plants or non-native plants on green roofs – what are the costs? Whilst there as been a move towards the use of native flora in the UK, this has been lead in the main through policy. Architects, who lead green roof specification tend be to look for a product. Ecological systems and approaches are often hard for architects to embrace. . They change year in year. Yet these products that may use a lot of non-native flora, perhaps have a hidden downsize – cost. Not the cost of installing but the cost of maintaining. Furthermore, the cost is not only financial but also environmental. As LEED awards points for onsite native vegetation and green roofs, this is better route to take. And in doings so the cost saving opportunities associated plants can impact on inputs. In the case of green roofs that is the use of fertiliser, water and labour for maintenance. 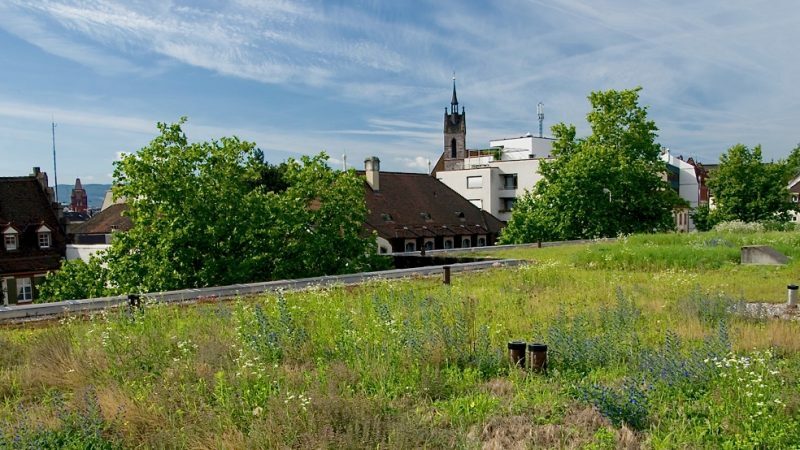 Therefore, though tools are available and planning policies/conditions require a native approach, many designers are still tending towards generic green roof systems. And therefore they may not score as well as they could or should.